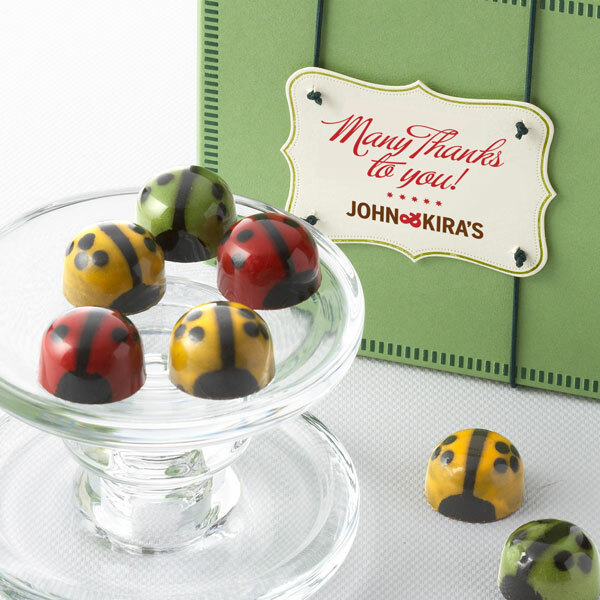 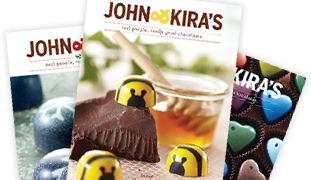 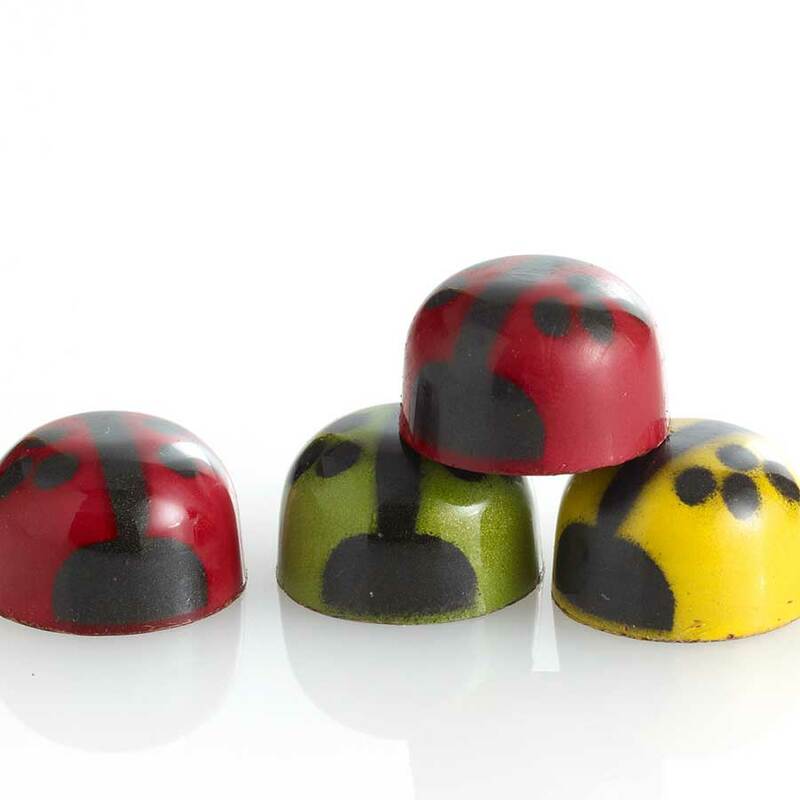 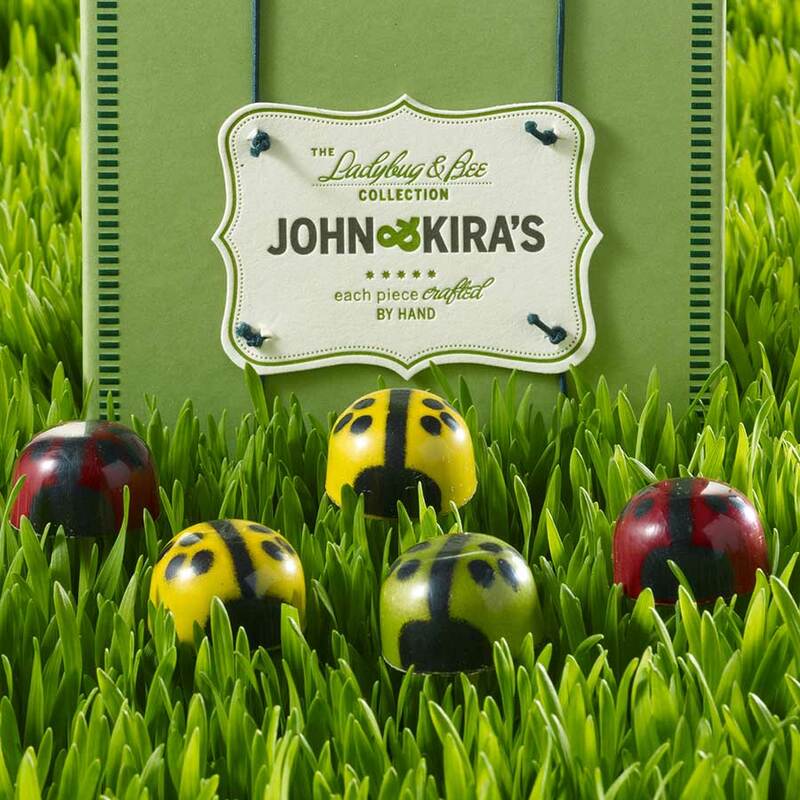 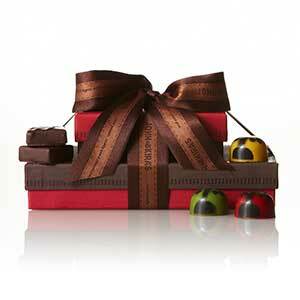 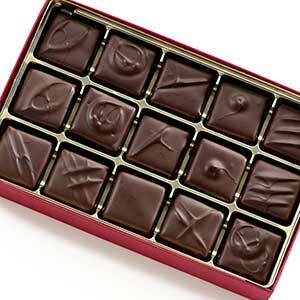 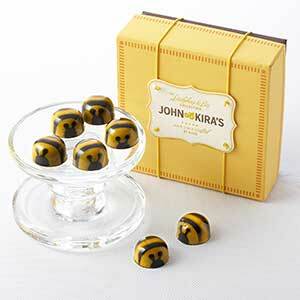 Known to bring good luck, our set of nine Chocolate Ladybugs makes the perfect gift for a true chocolate lover. Each unique dark chocolate shell is meticulously colored by hand then filled with our signature raspberry (red), garden mint (green) or honey lavender (yellow) Valrhona chocolate ganache. It is packaged in a green boutique box finished with a delicate letter pressed card that reads "Many Thanks to You!"